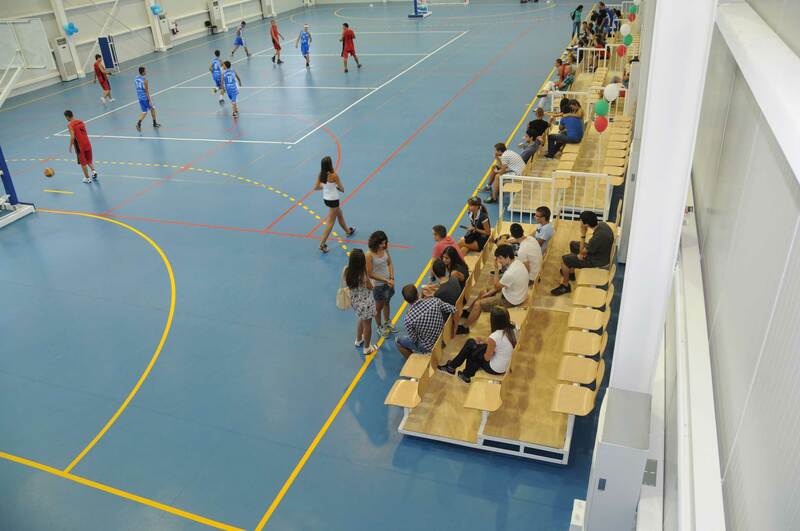 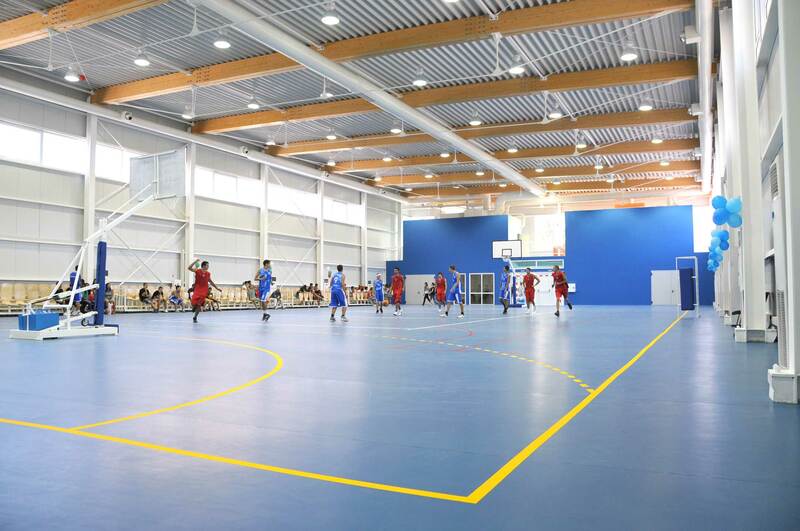 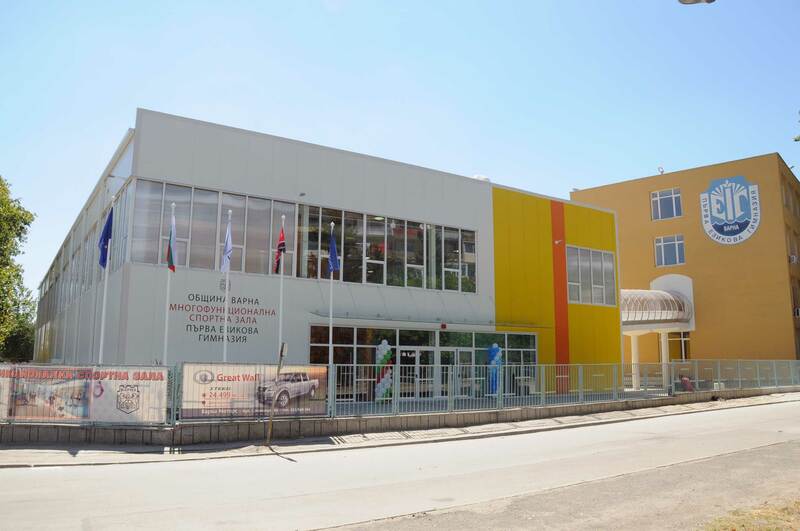 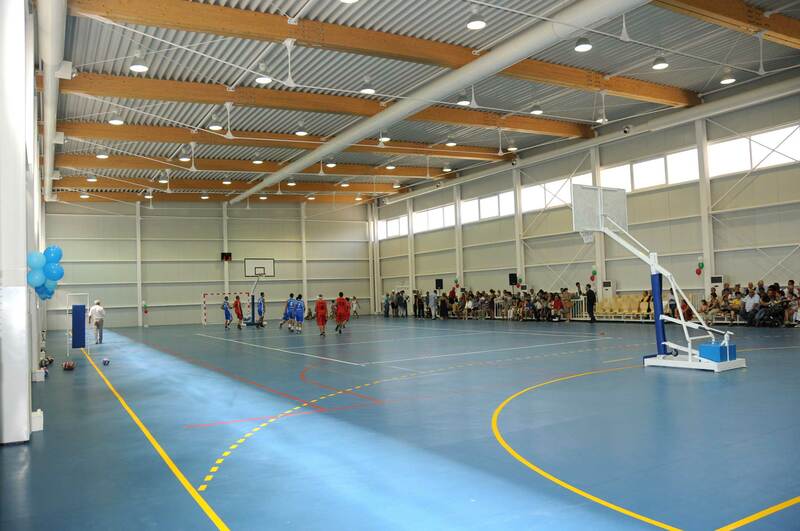 A multifunctional sports hall 54.5 to 25.5 meter in size is built in First Language School Varna. 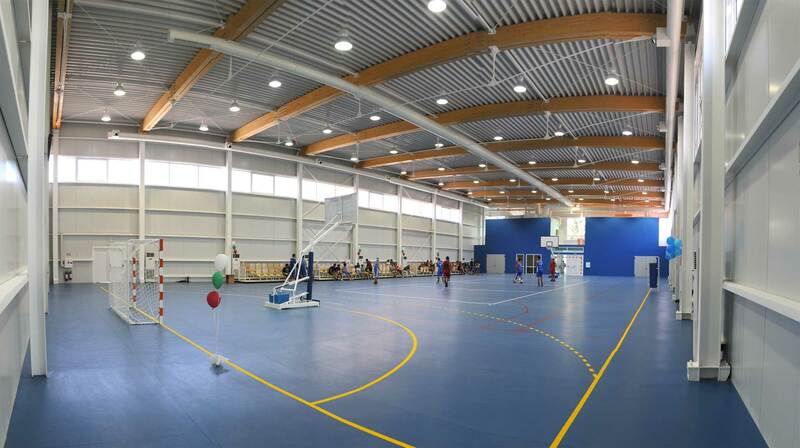 The structure of composite glued laminated timber trusses with steel turnbuckles is a design accent. 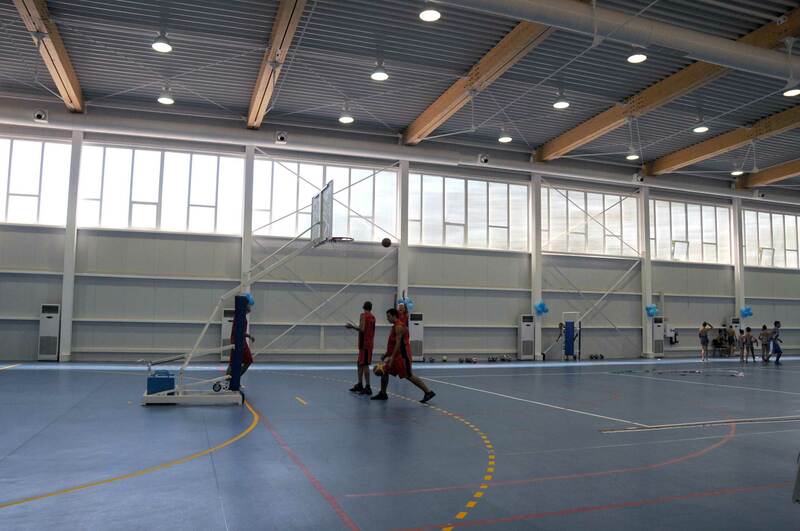 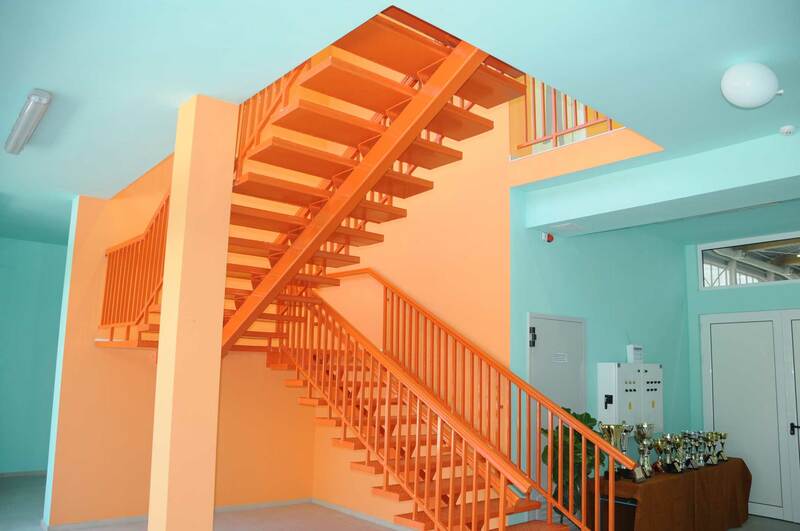 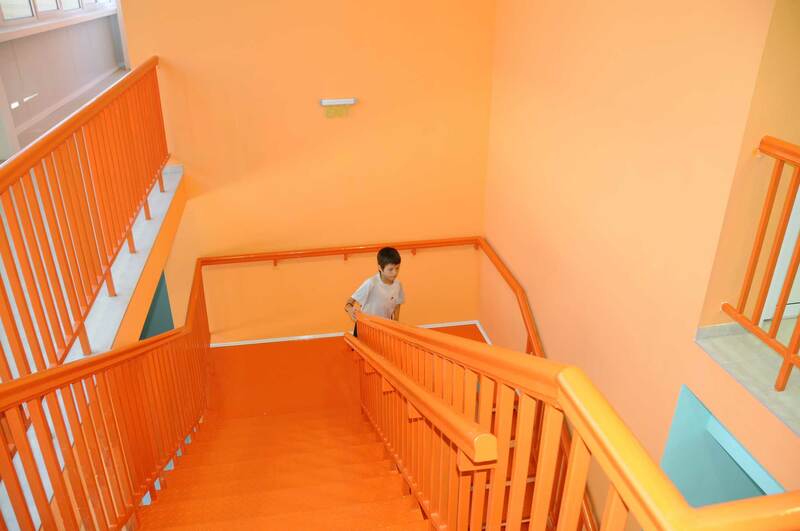 The playground 44 by 22 meters ensures use of the hall for handball, mini-football, volleyball and basketball. 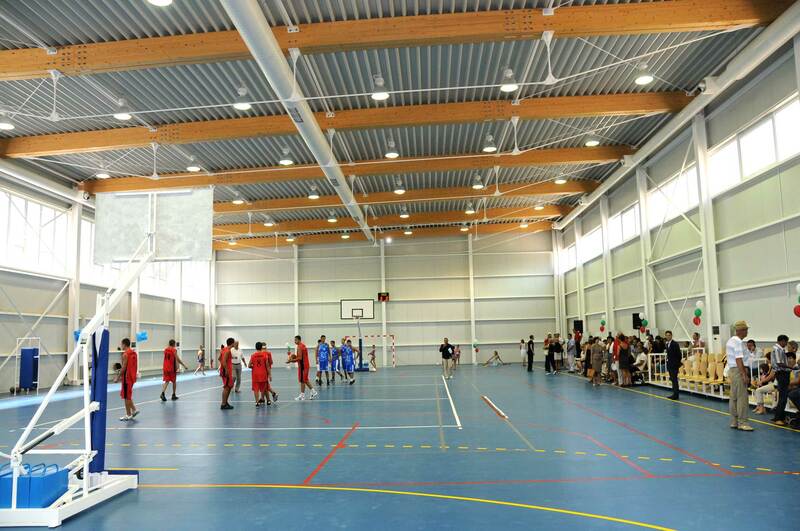 Six movable modules with 150 seats are located on the west side of the sports field. 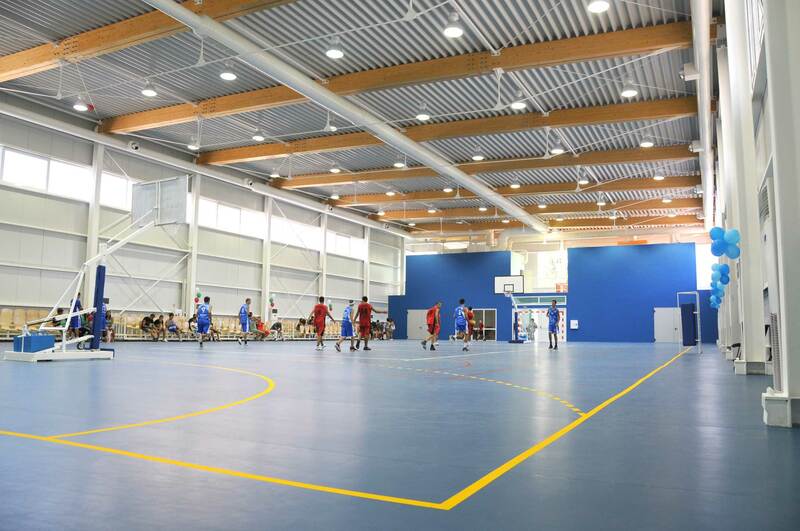 Compact two levels block on the norden site provides the necessary storage areas, locker rooms, a lobby, service and coaching facilities. 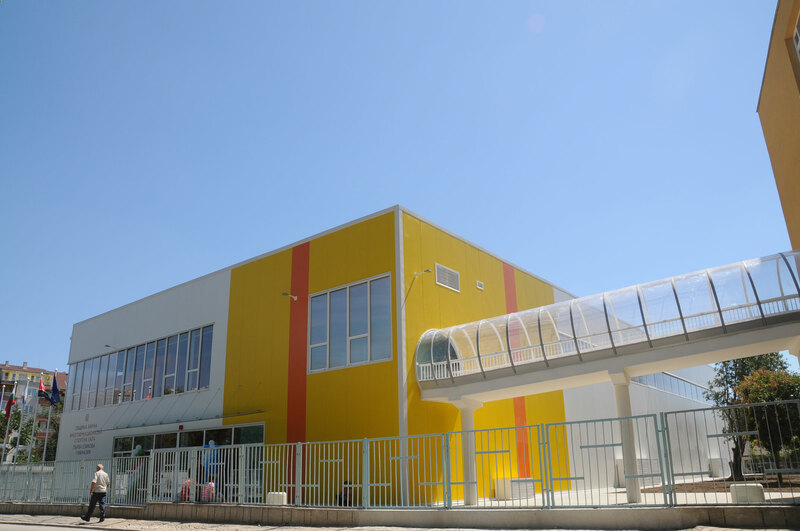 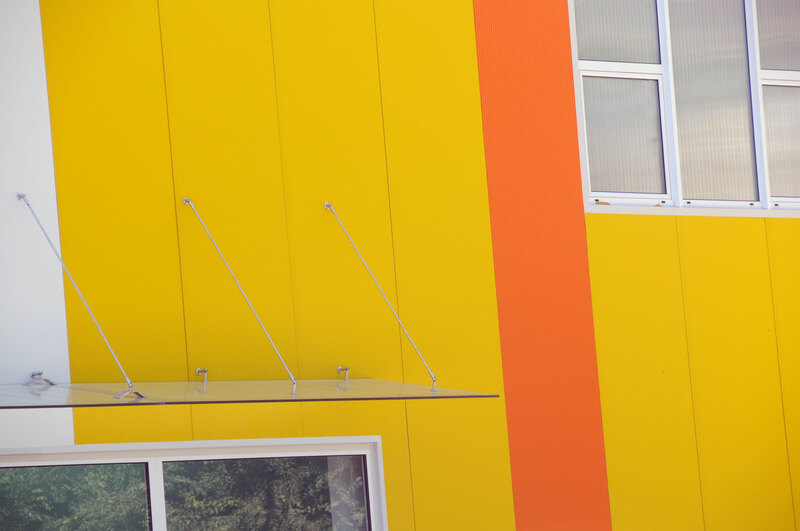 Connection to the school building is provided by a passage on second level.